The Sioux Narrows-Nestor Falls 50+ Activity Centre is a nonprofit organization that operates out of The Joe Douglas Meeting Place, 5655 Hwy 71 in Sioux Narrows, Ontario. Officially opened on July 18, 1991 as the Sunrise Echoes Seniors Club, the recently renamed 50+ Activity Centre continues to provide a place for adults to learn new skills, be active, stay connected and enjoy themselves. We have strived to expand our programming to meet the needs of our growing membership. 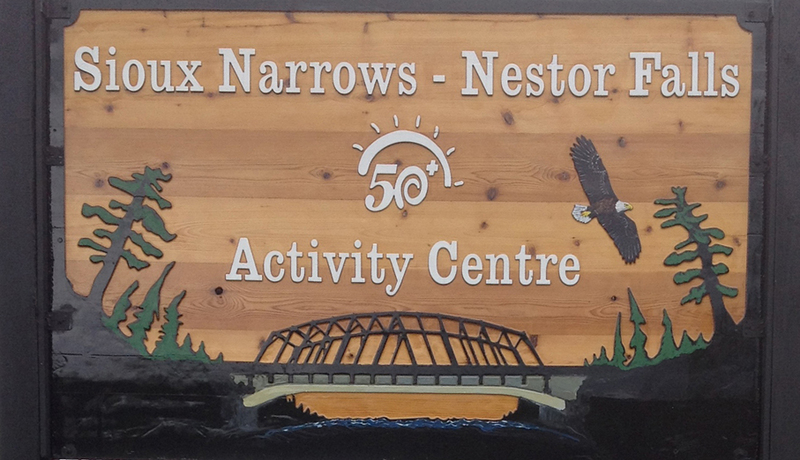 The Sioux Narrows-Nestor Falls 50+ Activity Centre is funded jointly by provincial and municipal governments, member contributions and fundraising projects. The purpose of this website is to inform Sioux Narrows-Nestor Falls 50+ members and the general public of activities and upcoming events, available resources and volunteer opportunities.